AB5SS will kickoff a T-Hunting event for the club on May 12. 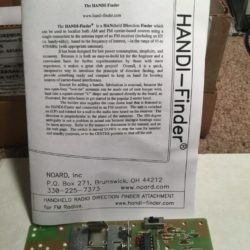 He’s found a very useful Direction Finder project kit, called the HANDI-Finder, which utilizes a simple CMOS oscillator to continuously switch your Handheld FM radio between two small wire loop antennas made from wire coat hangers. 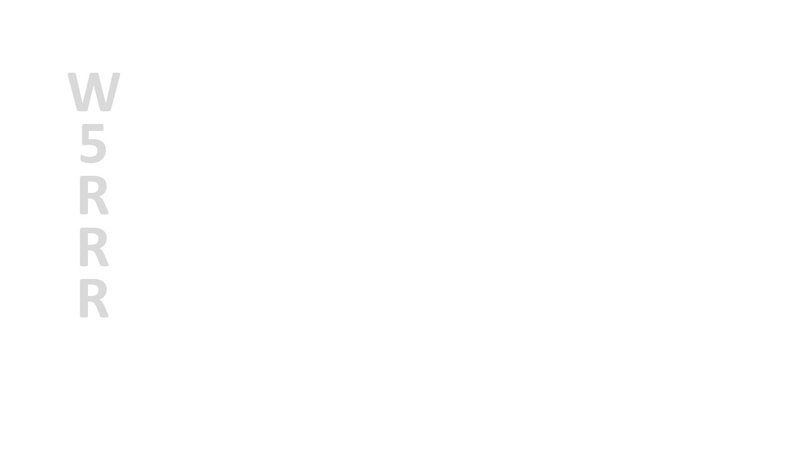 Due to this phase-difference detection scheme, by adding a small handle and turning it, a very sharp positional null can used to help one locate a signal’s direction. It’s a perfect small project for T-Hunting. The current pricing is $27.95 +$6 shipping which is a nice sweet spot for a DIY project. The club will soon embrace the T-Hunting bug. 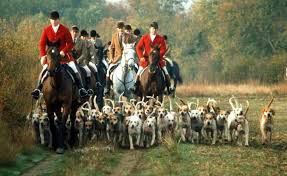 T-hunting is a term for Transmitter-hunting or “Fox Hunting”. A secret transmitter(s) is/are hidden at an undisclosed location, and participants use their HT or other exotic devices to hunt it down. 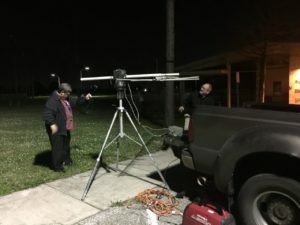 Here’s an audio clip of Mike N8MTV’s successful tracking and downlink of the ISS ARISS station NA1SS and KD2IFR, from the W5RRR Satellite Station. 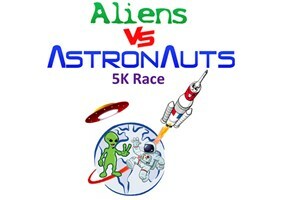 This was a scheduled ARISS school contact with the Central Islip Union Free School District, Central Islip, NY on April 18. “Enjoy! .. thought this would be great to show to the club. 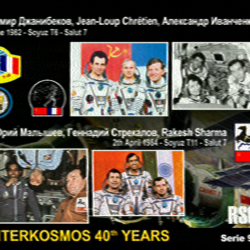 The first image started recording as the ISS was rising, hence the noise at the top of the image. Transmission stopped well in advance of setting over the horizon, so the next two images are decent. 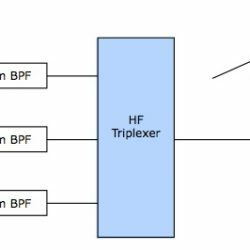 The first test of an HF Triplexer in the W5RRR shack was successful. 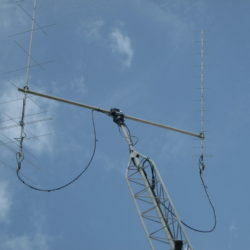 A Triplexer converts a single user TH7DX tribander to be split out into 3 independent antennas ports on 20m, 15m, and 10m for simultaneous operation. A great nite for building AB5SS’ CW Decoder Kit. 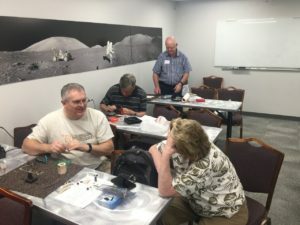 As a terrific club effort, supporting roles from AB5SS, N8MTV, W4STU, AB4ME, and W5OC successfully handed out the CW Decoder Kits during the last club meeting and we had a night of group building at the Gilruth on Thursday. 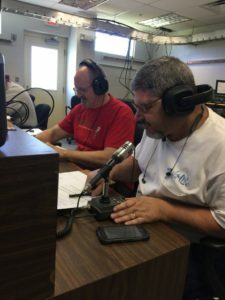 The W5RRR station participated in the ARRL Rookie Roundup this last Sunday at 1:00pm. 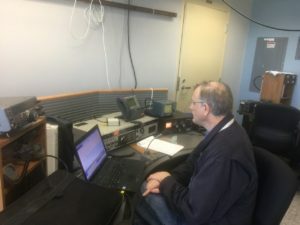 Joe,KG5VMC, Terry, KG5TJT, and Fred,KG5WNN each had operating time on the mic on our 20m and 40m presence, while AB4ME and W5OC provided operator control and support. Kudos to David, KB5PGY for his dedicated support representing the JSCARC in our newest EOC support role. Earlier this year, the JSC EOC needed us to vacate our historical space in the Building 30 EOC room. 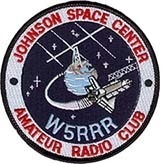 The W5RRR satellite tracking and ARISS capability had been largely unused and requiring updates for quite awhile. Enter: Keith, KG5HOK, John, AB5SS, Mike, N8MTV, Jeff, AB4ME, and Terry,KG5TJT. Keith got things rolling by acquiring SW and HW to interface our AZ-EL controller to a computer, but it still had problems.